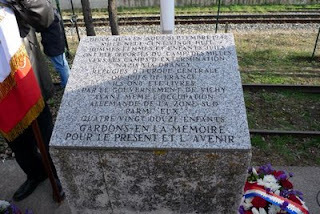 Catherine's recent article posted to the 2WW Blog site regarding the recent installation of a memorial for the deportees from Les Milles near Marseille (Bouches-du-Rhône, France) prompted me to look out some of my notes and works about WW2 in France. Les Milles was, in fact, but one of many internment camps distributed throughout France where not only Jewish internees were sent but also Gypsies, Freemasons, foreigners, anti-Nazis and other political opponents. During WW2 the Allied countries (Britain, the USA etc) also interned some of their own nationals, or those who had originated from one of the opposing countries (Germany, Italy or Japan). For example, many British internees were sent to the Isle of Man, but the way they were treated and what happened to them afterwards was rather different to French internees. (1) Wath Brow Mission Church, Cleator Moor, Cumbria. During WW2, Flight Sergeant Edward Dixon MacDonald, RAFVR, initially served with Cleator Moor Home Guard and lost his life in April 1944 while on active service. The epitaph on his headstone states he had higher heights to climb. handed over to the Nazis by the Vichy government, even before the Southern part of France was occupied. Among them there were 92 children. The place were this plaque was put up, in Les Milles, near Marseilles, is going to be turned into a memorial, so that school children will be able to learn about the past. Interestingly, the camp remained unknown for decades. It used to be a brick and tile factory when the inmates were kept there prior to their tragic last trip. This year, school children came and read the names of the children who have died - they were a very moving sight as they filed and stumbled upon the difficult names of the victims. The ceremony will be held regularly each year as of now. McGrath family headstone, St Mary's R.C. Churchyard Cleator, Cumbria. In wartime some families inevitably have to bear the loss of a loved one, and in some cases more than one close relative, very often brothers or a father and son. In the case of the McGrath family of Ennerdale Road, Cleator Moor, Cumberland Denis McGrath (Senior) lost his life in a mining accident in June 1943, while two of his sons - Denis McGrath (Junior) and John McGrath paid the Ultimate Sacrifice while serving in the army. A separate article has been written about the accident in which Denis McGrath (Senior) lost his life. This article deals with the story of Denis McGrath (Junior) and John McGrath. In Britain, during the Second World War coal mining was one of the key industries on the Home Front. At this time the incidence of serious accidents and some kinds of industrial disease and the average age of the workers were much higher than that of the working population as a whole. In 1943, for example, according to a post-war independent report (*) based on access to official Government documents out of 708,000 workers in British coal mines there were at least 173,000 accidents leading to a disablement of more than 3 days. Although the comparative fatality rate is not given in this report, it would be logical to assume this was also significantly higher in mining compared to other industrial sectors. One of many such mining industry fatalities that occurred in 1943 was that of Denis McGrath (Senior) from Cleator Moor, Cumberland who died as a result of a roof fall underground at Haig Pit, Kells, Whitehaven on Monday 21 June. At the inquest into Mr McGrath's death, the Coroner brought in a verdict of 'accidental death'. The Coroner, Mr W.H. Bayliff, also made the comment that Mr McGrath’s death had been the result of "… an unfortunate accident". 2. 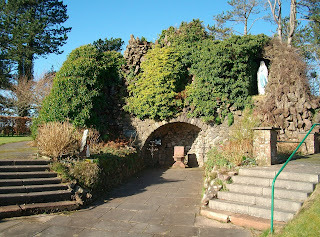 Lourdes Grotto replica, Cleator, Cumbria , Cumbria. Sapper Peter Doyle, R.E. (Service No 2117012) from Cleator Moor, Cumberland (now Cumbria) served with the Royal Engineers in the early part of the Second World War. He passed away while serving in the U.K. on 13 November 1940. 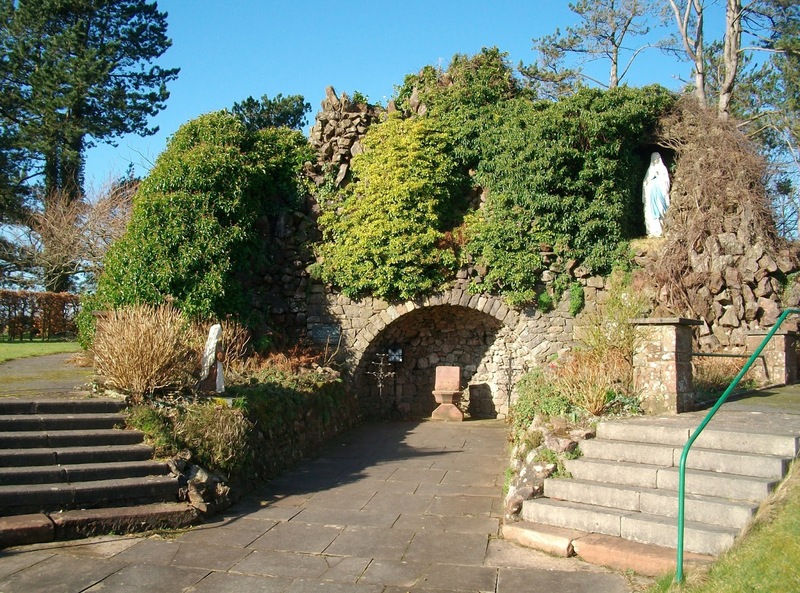 A few days later, on 16 November 1940, Peter's funeral service took place near his home at St Mary's R.C. Church, Cleator. In February 2009, when visiting Peter's grave, I found the snowdrops in bloom - a symbol of hope and a remembrance that life goes on. Sergeant (Air Gunner) Edward Causer (known as 'Ted'), Service No 2209008, served in the RAF during WW2 for about 6 months (February - August 1943). Air Gunners were often in the most vulnerable position in an aircraft and they suffered from a very high 'attrition rate'. So it was to prove with Ted Causer. He was listed as 'killed in action' on Monday 16 August 1943, at 19 years of age. At the time of writing this article (February 2009) I do not have the details of Ted’s final mission.